Shares of Infosys on Friday zoomed by nearly 17 per cent, adding Rs 22,524 crore to its market value, on stronger-than-expected quarterly profit and upward full-year sales forecast. After gaining over 17 per cent during the day, the stock finally closed at Rs 2,712.60, up 16.90 per cent on the BSE. On the NSE, the scrip ended 17.04 per cent higher at Rs 2,718. 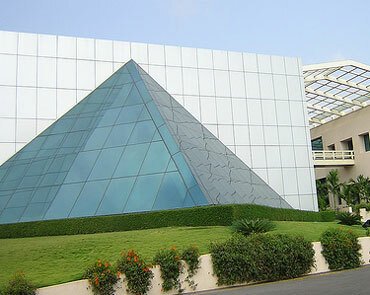 Following the rise, the market value of Infosys jumped by Rs 22,524 crore to Rs 1,55,766 crore. "Infosys results were ahead of our estimates on all fronts. Improved management's commentary illustrates that client confidence on IT spending is turning positive," IndiaNivesh Securities said in a report. Infosys net profit at Rs 2,369 crore in October-December was marginally lower than Rs 2,372 crore logged in the same period a year ago. That prompted Infosys to raise its sales forecast by about 3 per cent to Rs 40,746 crore, including $104 million in additional revenue following the acquisition of Switzerland-based consultancy Lodestone Holdings. "Infosys beat the estimate and upgraded its guidance for on back of growth from the European & domestic region. The current quarter performance will infuse confidence," Rikesh Parikh, VP Markets Strategy and Equities, Motilal Oswal Securities said. In the October-December quarter, the IT major's revenues (including that of acquired Swiss firm Lodestone) were up 12.1 per cent to Rs 10,424 crore. Its revenues stood at Rs 9,298 crore in the year-ago period. The company has raised its sales forecast for FY13 to be "at least $7.45 billion" (from USD 7.34 billion stated earlier), including $104 million in additional revenue from Lodestone. This is about 6.5 per cent growth over last year. "When it comes to Infosys, much more than the results, what is watched out for is the forecast," said Nagji K Rita, Chairman & MD, Inventure Growth & Securities. Rise in Infosys shares also sparked a rally in other IT stocks. TCS ended 3.80 per cent higher, Wipro (6.10 per cent), Hexaware Tech (3.31 per cent) and Tech Mahindra (1.34 per cent). Following gains in these stocks, the BSE IT index shot-up by 9.34 per cent to close at 6,252.26 and was the top gainer among the 13 sectoral indices. The 30-scrip BSE Sensex ended flat at 19,663.64.